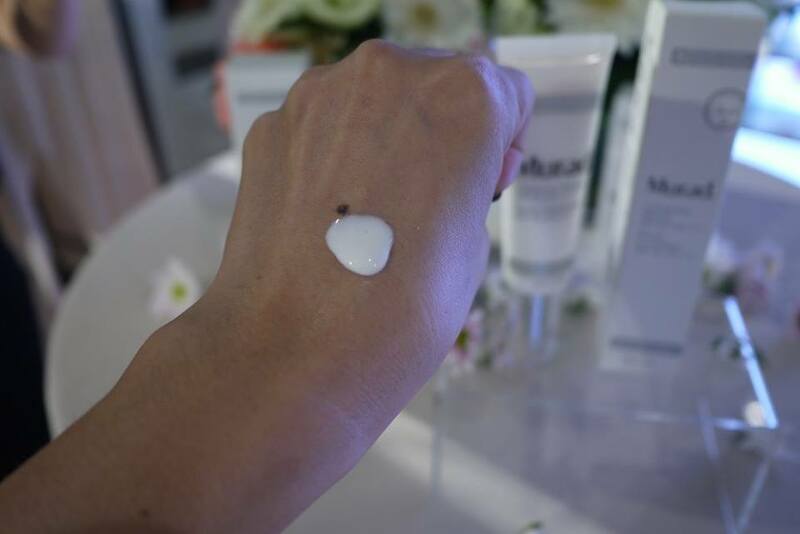 Murad, the skincare brand synonymous with high-performance, science-based products has launched the White Brilliance®, a brand new collection of formulas developed to illuminate the skin while evening tone to promote a delicate, porcelain-smooth appearance. The launch event was held at LOGO Fashion Lounge & Gallery at Evolve Mall, Ara Damansara. 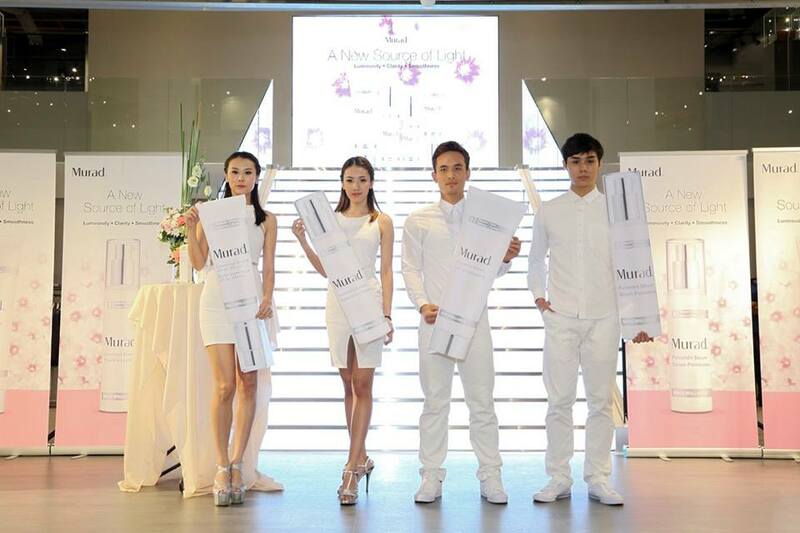 The brand new LOGO Fashion boutique was transformed to a cool and modern event venue with the runway stairways that have high tech LED screens beaming the latest TVC of Murad White Brilliance® Skincare Range. 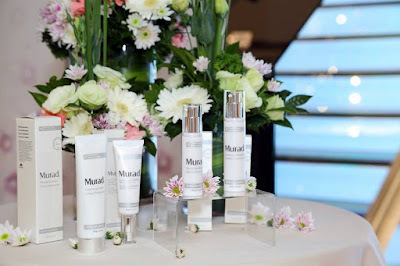 While there were also a catwalk from pretty and handsome models to showcase the Murad White Brilliance® Skincare Range, such an unique experience in Skincare launch for me. We were welcome by Tin Yen, the Marketing Manager of Murad Malaysia before Murad Malaysia Trainer, Chion explained the latest skincare range to us. 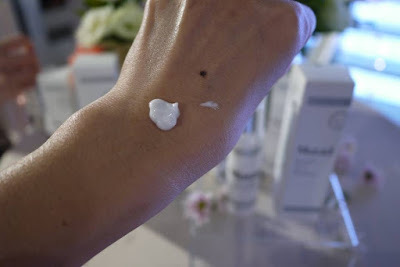 Utilizing advanced technologies and ingredients, including precious Porcelain Flower Extract, White Brilliance is made up of 4 products: Cleansing Cream, Luminous Essence, Porcelain Serum and Luminous Shield SPF 50 | PA++++. 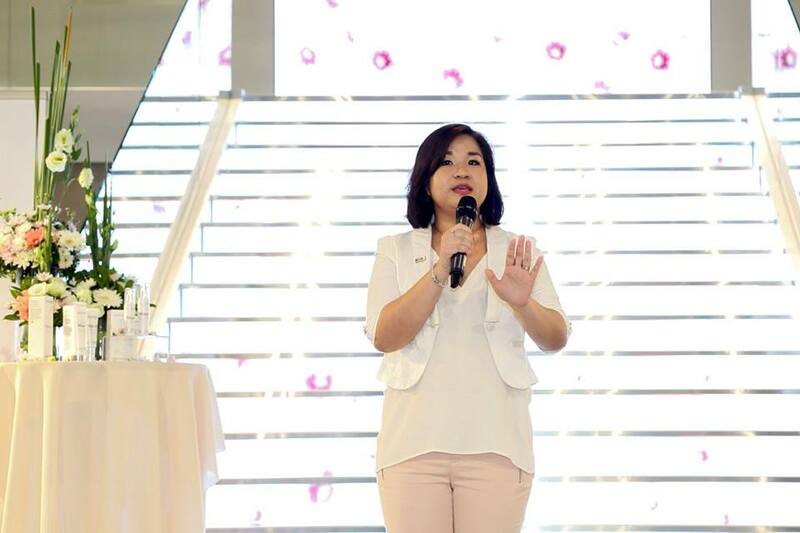 In a study evaluating the performance of the White Brilliance collection, 98% of Asian women agreed their skin looked luminous*, 95% of Asian women agreed their skin was smooth and soft*, 89% of Asian women agreed their skin is clearer and fairer* after using the regimen. 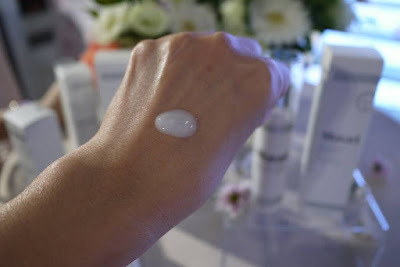 A powerful, high-potency serum that enhances skin’s translucence, formulated with four brightening technologies that leave the skin with a luminous glow; Porcelain Flower Extract evens and illuminates skin tone, Green Tea Extract helps promote skin’s brightness and firmness, and Hexylresorcinol and Hexapeptide-2 work together to deliver a visibly radiant and translucent complexion; in a consumer study, 86% of women reported their skin looked translucent** after using Porcelain Serum as a part of the White Brilliance regimen. An ultra-lightweight UV lotion that protects skin’s rosy glow utilizing antioxidant-rich Grape Seed Extract to neutralize environmental aggressors and preserve skin’s brightness while light-diffusing microspheres fill in lines and wrinkles, making them to appear less visible upon application. We have tried the Murad White Brilliance® Skincare Range at the launch event, and we love its natural flowery scent plus we were impressed with its effectiveness. Our skin was soft and smooth, supple and glow after the application. Murad White Brilliance® Skincare Range is available now at Murad.com.my and Murad Exclusive Stores located at Murad 1 Utama, Damansara Uptown, Empire Shopping Gallery & Da Men (*new opening). This product range seems pretty good! Translucent skin is the best! Never heard about this brand before. Will it be available in SG also? 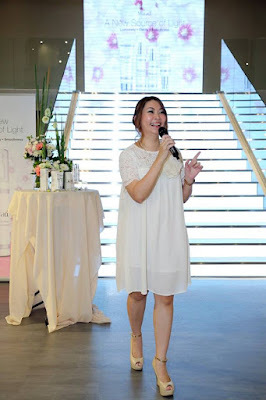 Everything so white! 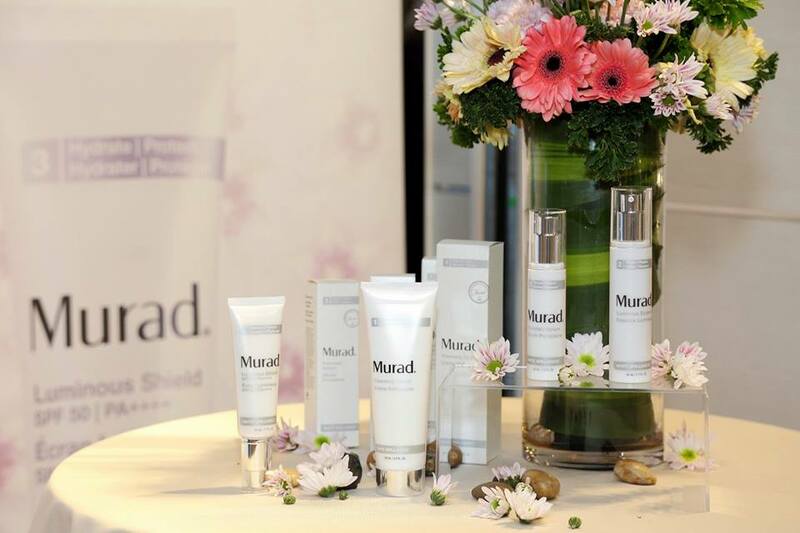 Murad skincare products sure are expanding!